Figure 13. Richard narrow-ended net. Left: simple model. Right: model with deflector. 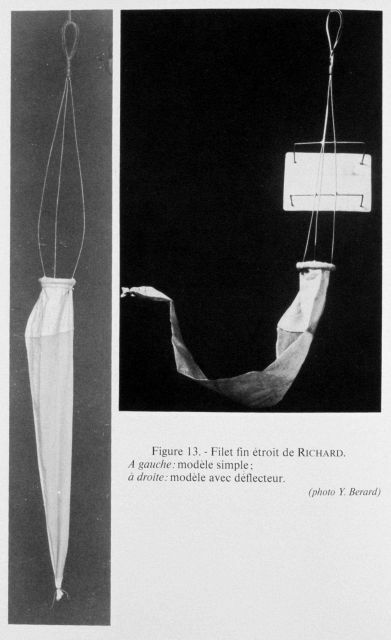 Invented in 1903 by Doctor Jules Richard, this net combined extreme lightness with ease of making as well as a great facility for use by a ship underway. The prototype of this net was constructed on the PRINCESSE-ALICE II. Prince Albert I used this for thousands of plankton sampling tows from 1903 on.